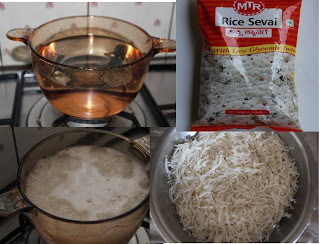 I have tried different types of sevai in Gnanambika mess in Narda Gana Sabha during music festivals.It is really good and mouthwatering.I have tried this one with Instant sevai(mtr) and made some variations to suit my children's taste. You just have to boil the sevai and cool it.Saute some vegetables and add your own spices and mix it up with the boiled sevai.I always look for dishes without much oil and more of vegetables. 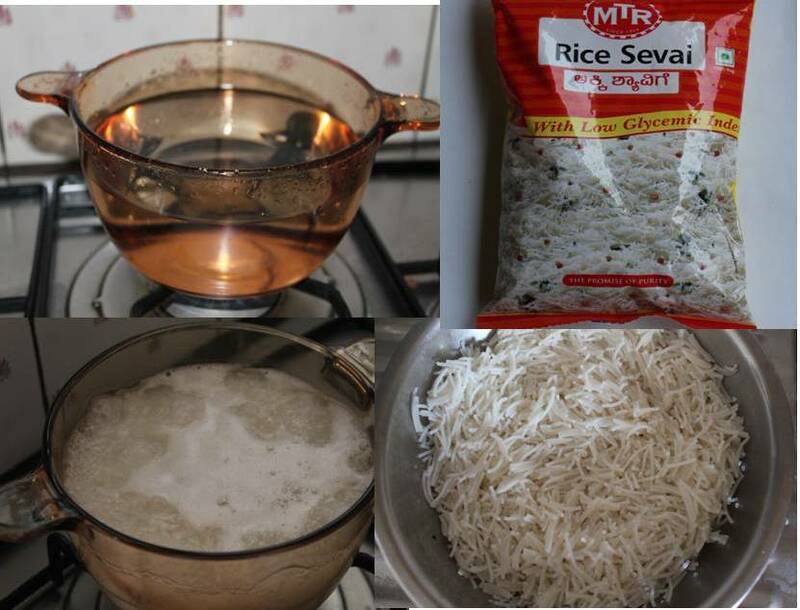 1.Boil 600ml of water(three times the sevai)add the sevai and boil it for three minutes.strain the water add a tbs of oil and cool it. 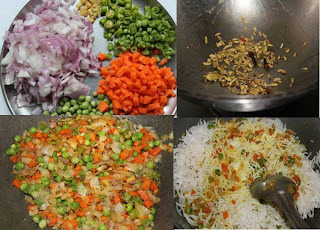 2.chop the vegetables,roast the ingredients given in the small table and powder it. 3.Saute the vegetables after a temper with oil mustard seeds,channa dal green chillies and ginger. 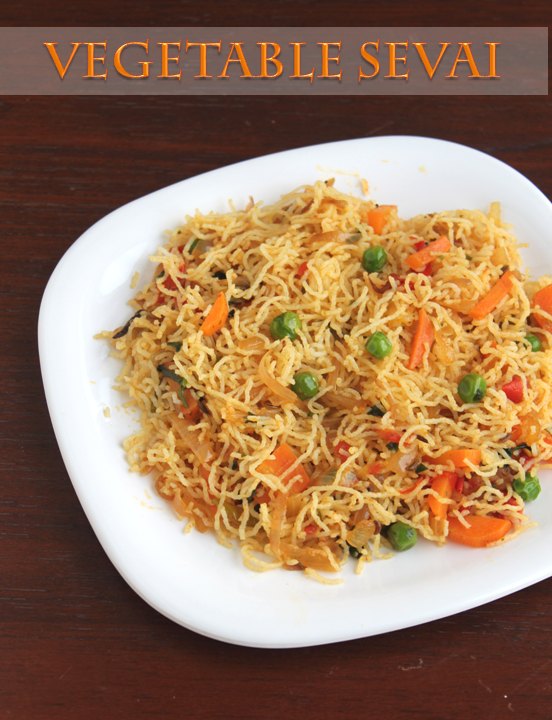 Add salt,turmeric powder and close it until the vegetables are done. 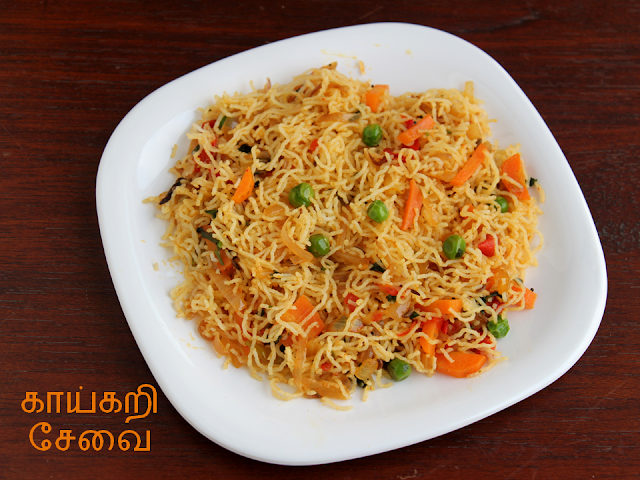 4.Cool this also add the powder and the sevai and mix well.Garnish with coriander and curry leaves. You can avoid the roast and powder and just add lime juice. 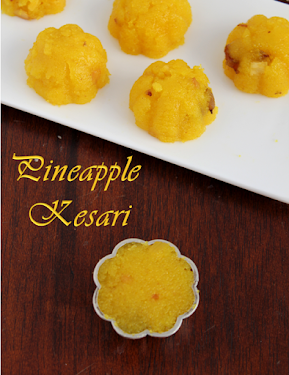 Serve with raita or more kozhambu. First time here, You have a lovely space, glad to follow you, Do stop by mine when u are free. Thank you!sure will visit your space!